The International Fund for Agricultural Development (IFAD) is partnering with the Government of India, the Bill and Melinda Gates Foundation and Agri-solutions, to host a two-day conference starting today to discuss how to significantly improve the goat sector in rural areas, specifically in Uttar Pradesh, Bihar and Odisha states. Raising goats is an income-generating activity that has enormous potential to increase incomes and improve nutrition for resource poor households, especially in remote, tribal and ecologically vulnerable areas. It is an activity that requires minimal investment and input costs. Goats are also prolific breeders and have a good survival rate in drought prone areas. India has the second largest global goat population and has the potential to increase its role and profits in the lucrative global goat market. 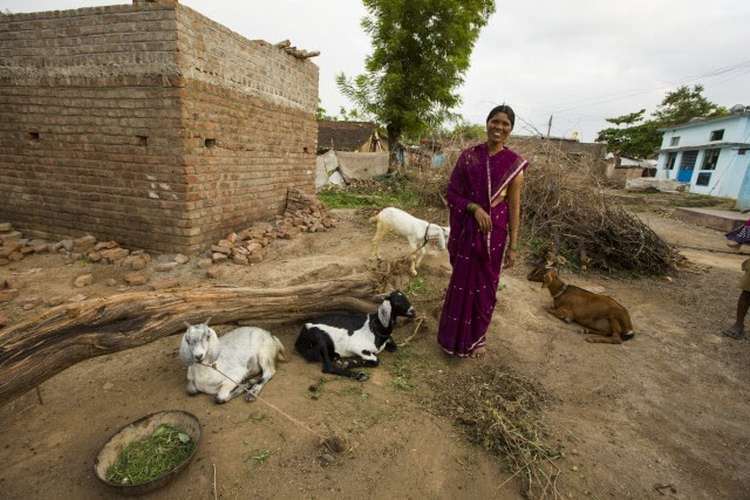 Building a vibrant goat sector in India is critical to reducing poverty, meeting the Sustainable Development Goals and India’s own rural development goal of doubling farmers’ income by 2022. In this context, the conference will bring together international technical experts and national policymakers. Krishna Raj, Minister of State, Ministry of Agriculture and Farmers’ Welfare, will deliver the keynote address. “We can really have an impact on poverty reduction because we can demonstrate that we can double smallholder producers’ incomes by improving their goat production and by connecting them to the increasing market demand for mutton and goat meat,” said Antonio Rota, IFAD’s Lead Technical Specialist on Livestock. “There are various parties that are ready to invest. We would like to help producers and interested parties come together and create the kinds of lasting partnerships that support goat producers and allow them access to the untapped market as equal partners. IFAD is specialized in brokering public, private, producer partnerships. We can make a change by helping rural communities develop and improve the goat sector,” Rota added. The two-day event will be followed by a learning route which will include visits to locations that host the latest developments in the goat sector in the country – innovative health service delivery, commercial farming, modern processing, and links to markets.